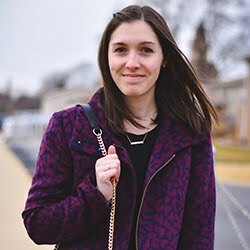 Hey blog fam! I haven't been feeling myself this week and took some much needed down time after my workdays, BUT I did not want to miss out on our weekly conversation! 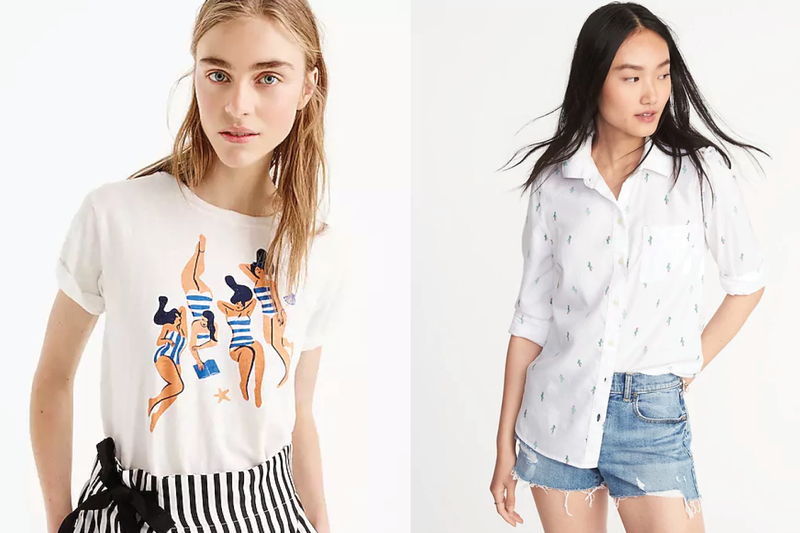 I took a slight detour from my scheduled blog content and put together today's post about a few of my favorite blouses and tees I've picked up recently for spring. 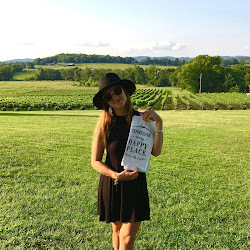 I first saw this tee on Jess over at The Golden Girl blog and thought it was the cutest thing! 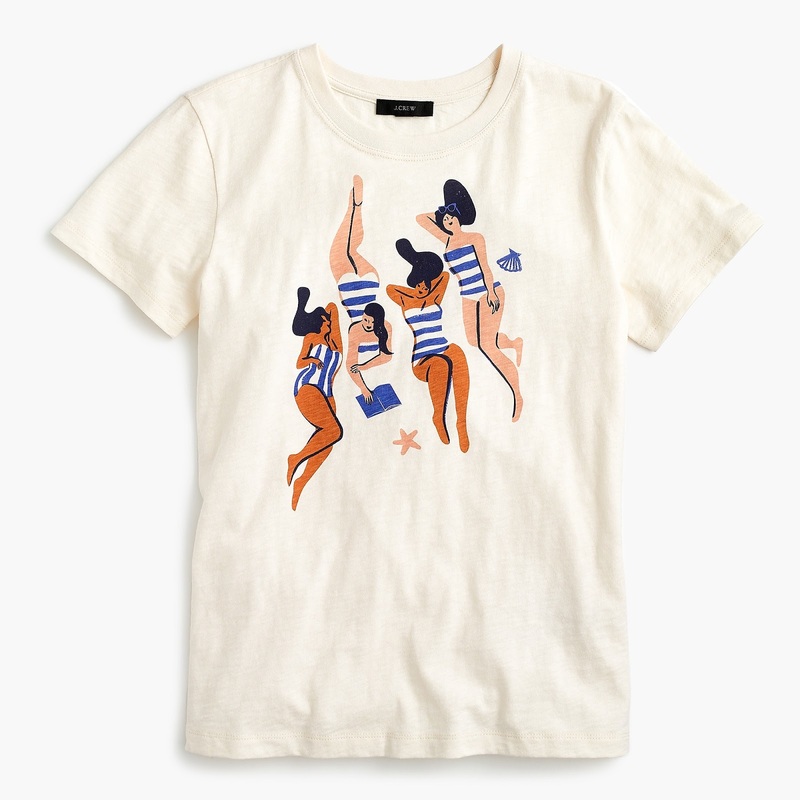 It's such a unique piece to wear into the summer with the vintage-inspired bathing beauties illustration. I have a pair of striped linen pants that will pair perfect with it. This blouse just arrived in the mail last week and I ordered it in both the white and squash colors. It comes in black too, but if I am going to recommend one of the colors, it is definitely the squash. 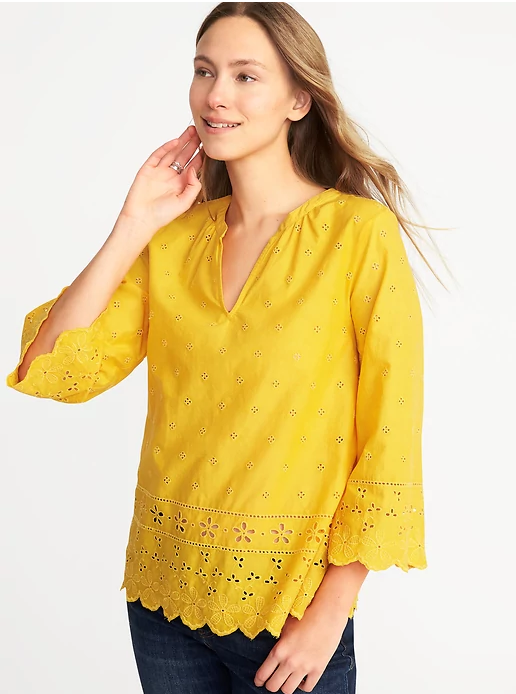 This bright yellow shade is stealing the show this season, and the eyelet details on this blouse really pop against the color. Target did it again with this adorable blouse. I love the simple blue and white stripes! This is a cropped style that hits right above the hips with a tie in the front. 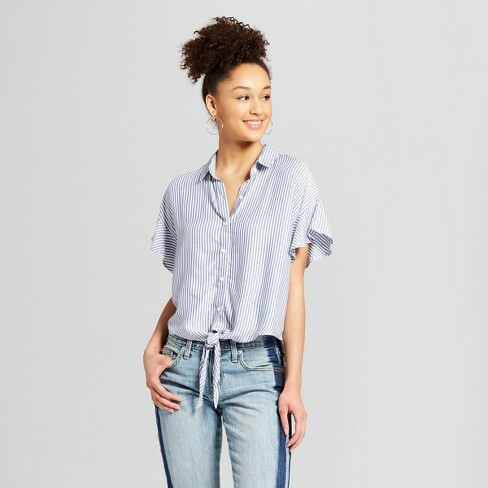 The best part of this piece is the flutter sleeves; it makes the simple shirt appear more dressy! I plan to wear this with a tailored denim skirt. 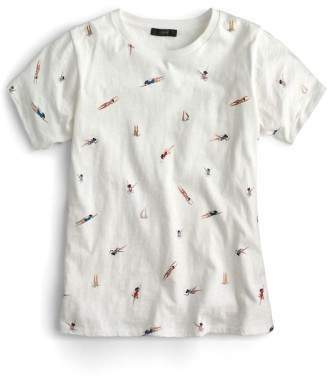 Another adorable tee from J. Crew! This one has little swimming ladies all over it. A few of the swimsuits have glitter details for a little sparkle. This style tee is very soft and loose fitting, which I prefer! 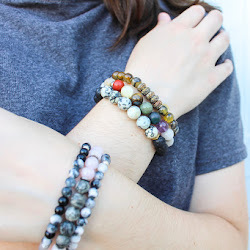 This piece can be paired with a denim jacket for the spring, or with shorts during the summertime. It is sure to get major compliments! 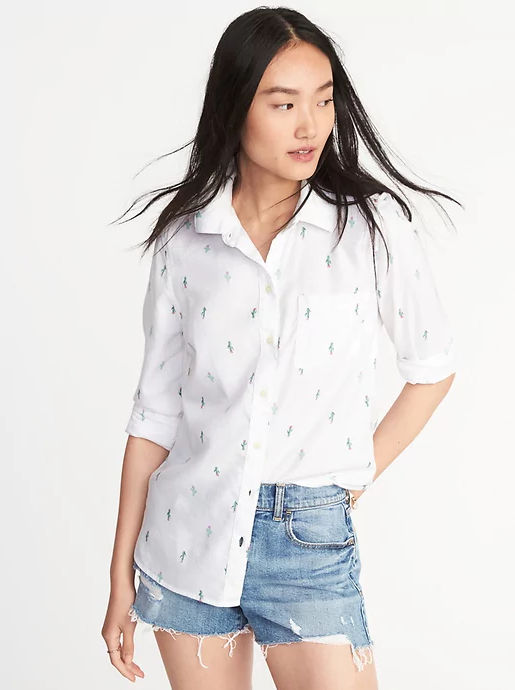 I picked up this shirt mostly for the adorable cactus print... er, okay, definitely for the cactus print. But I fell in love with the relaxed material because even though it looks like it would be a stiff dress shirt, it is actually incredibly soft and flowy! I sized up so I can wear it as a tunic with leggings or comfortably tucked into some jeans. Pulling off a ruffle sleeve is a constant struggle for me that I'm actually super bitter about. There are so many cute options these days but my body shape says "no way" and I'm left out of participating in this cool new trend. I gave this tee a chance to impress me and it actually did! My ruffle sleeve dreams came true! 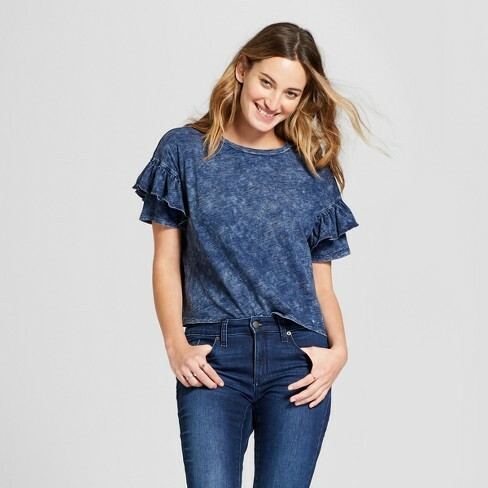 The ruffles aren't too "poofy" and the cropped length pairs great with your favorite denim.